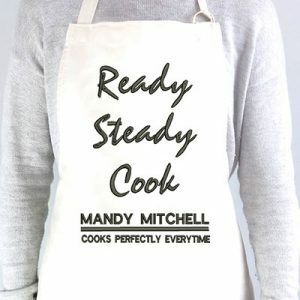 The race is on for culinary perfection in the kitchen, and nothing better than to don our Personalised Ready Steady Cook Apron to complete the experience. Order for the whole family and keep cooking in the kitchen a real family affair! 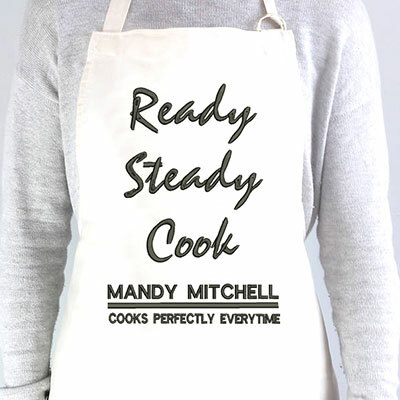 Add your name to customize your apron. Whether its a Bring and Braai, Dop 'n Chop, or a family gathering. It could be at the dam or outside the stadium, spice up conversations around the fire with this durable Personalised Blue Bulls Apron. 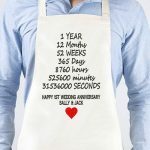 Ideal for cooking, baking, grilling or bar tending, it's perfect for gatherings of all sizes and occasions. Be the Blue Bulls Number 1 Super Fan with your Personalised Blue Bulls Apron and make a statement. 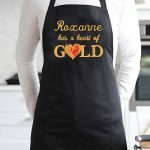 Whether its a Bring and Braai, Dop 'n Chop, or a family gathering, spice up conversations in the kitchen or around the fire with this durable Personalised Springbok Apron. Ideal for cooking, baking, grilling or bar tending, it's perfect for gatherings of all sizes. Get behind the Bokke this RWC2105 with your Personalised Springbok Apron and make a statement.